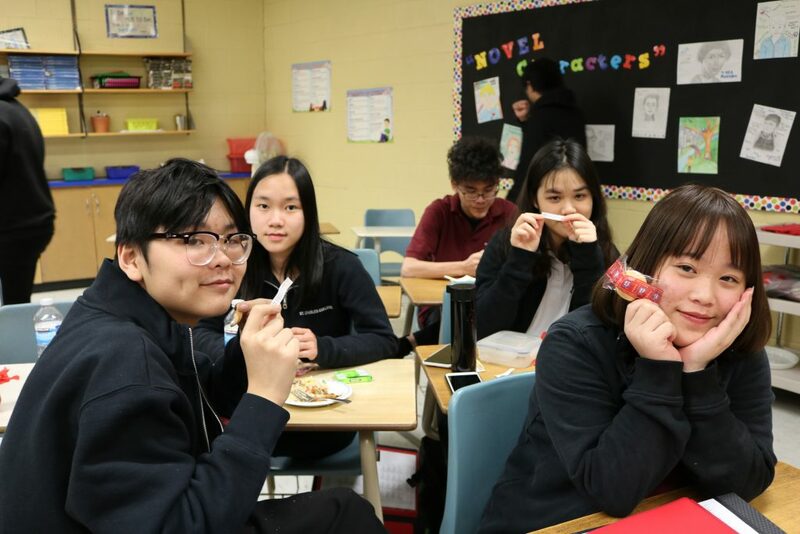 The Chinese New Year was fully embraced at St. Charles College on February 5th, 2019, where staff and students came together as a school community dressed in red to celebrate. The students received beautifully red wrapped mandarin oranges from the breakfast club, which symbolizes good luck and friendship in the Chinese culture. A traditional lunch, which consisted of dumplings, pork rice, spring rolls and almond cookies was served to students in the English Café, a club for all international students. New Year festivities will continue during the month of February at lunch for students to participate and learn about various traditions of the Chinese culture. Workshops on calligraphy, dragon art and a friendly chopstick competition will be held in the learning commons. These workshops will be led by our international students and partners in the community like the YMCA and Laurentian University’s international student program.